Hybrid Camera Revolution: $24,995 Sony PXW-Z450 or $3,495 URSA Broadcast - which is the best camera for your money? 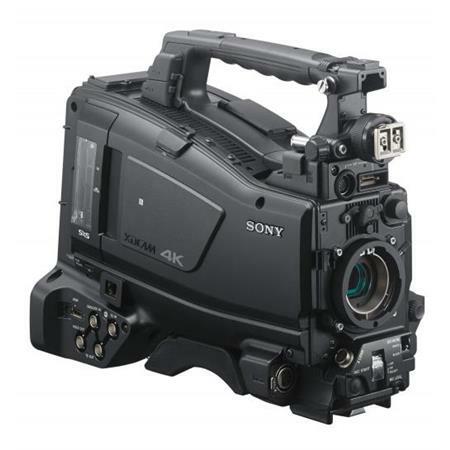 $24,995 Sony PXW-Z450 or $3,495 URSA Broadcast - which is the best camera for your money? 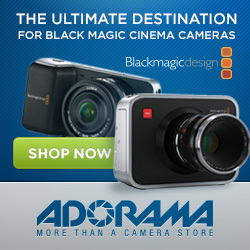 Blackmagic Design has done it again - disrupted an existing market with a low priced, high quality professional camera with a very attractive feature set. Just as they did with cinema cameras a few years ago, Blackmagic has taken a market where cameras have traditionally cost literally tens of thousands of dollars and introduced a comparable product for less than $10K. Only this time, the price for the URSA Broadcast is an amazingly low $3,495 (press release here). Since the Broadcast shares the same body as the Mini Pro, it can use the same accessories, to include the shoulder mount kit, viewfinder and studio viewfinder. But the Broadcast is the second entrant into the 4K shoulder mounted ENG camera marketplace. But the Z450 costs almost $25,000 - which limits its use to high end network television and production houses. Until now, if production companies and freelancers wanted a 4K shoulder mounted pro camcorder on a budget, they had to adapt B4 lenses to a larger sensor camera with a 2x doubler to avoid vignetting. For some of these cameras, adapting ENG lenses also meant buying an external power source for the zoom. As you might guess, all of this was a hassle and something news shooters and documentarians tended to avoid. Now, almost two years later, Blackmagic has turned the world upside down with a camera that closely matches the Z450's specs for an almost unbelievable $21,500 less. This camera has the same 2/3" sized sensor as the Z450 and a similar native, powered B4 mount. It has the same maximum 4K/60p resolution and both cameras have a range of edit ready 10-bit codec options. But the Broadcast has several features the Z450 lacks, in addition to price. 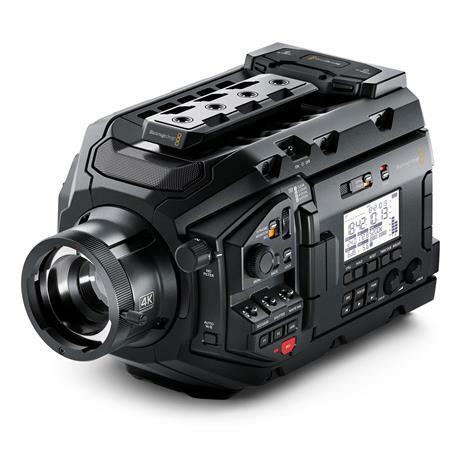 It has dual SD card slots for some of its lower bit rate codecs - it has an interchangeable lens mount and it records to Blackmagic's losslessly compressed CinemaDNG RAW. SD cards are lot less expensive than the Sony's SxS cards, the interchangeable lens mount provides more creative flexibility and for content producers who have the time to grade, the ability to record 12-bit RAW will deliver images with a wider color palette. Of course, there's more to these two cameras than just a few headline features - and you get a lot of intangibles for your money with the Sony (to include their highly regarded pro support) - but for low budget broadcasters, cablecasters, webcasters and other live streamers - the URSA Broadcast will open up a whole new world of possibilities. Personally, I plan to rent one at the earliest opportunity. It will be perfect for a live stream project I have coming up - and I would like to see what it can do in a narrative setting. By keeping the aperture open with the built-in ND filter and using longer focal lengths, I should be able to deliver acceptably shallow depth of field.